The small cap sector posted another solid gain and stretched the 3-day streak. 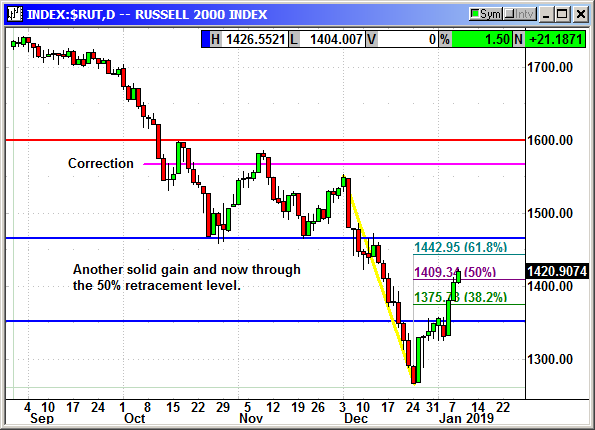 The Russell added another 21 points to post a three-day rebound of 89 points. That is a 6.2% rebound in three days. Small caps are popping but they have a long way to go. The 1,465 level is the next major resistance.